Bee removal, Scott the Bee Man Phoenix, AZ The Hive Is Where!? 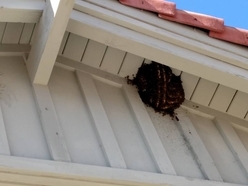 We're confident that we can remove your hive or swarm! We've found and removed hives from some unlikely locations throughout Maricopa County. Click through the photos below to learn more.